Irrigation water will be turned on next Saturday, April 27th. A project update. 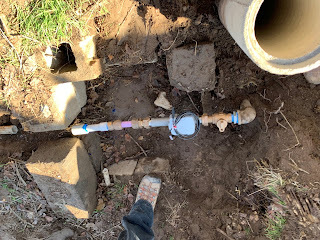 Meters are going in! So far we have about 25 installed. Each connection is so different. Here are a few examples. The Tooele County Emergency Management Center is asking Tooele County residents to "opt-in" to the Emergency Public Alert System. This will allow for communication regarding fire, flood and other emergencies. In an effort to help our shareholders be aware, we have included the link for you to sign up. As we look ahead to the spring runoff season, this will be a valuable tool for all in case of an emergency. As the Board of Directors, we would like to address a few questions that have been brought to our attention and give updates on a few other items. The loan amount for the pipeline was $891,400 at 2.1 percent interest. The annual payment amount for the loan is $55,100. ($38,116.71 is paid to principal 16,983.29 is paid to interest.) The term of the loan is 20 years. The third payment was made in November 2018. The assessment was increased to $200 so we have the amount on hand to pay the payment in November of each year. The assessments that have just been received will make the payment this fall and pay the operating expenses for this year. The loan payment is the single largest expense of the Irrigation Company each year. The second largest expense each year is repairs to the distribution system. Installation of water meters is a very expensive proposition. The meters, filters, fittings, and labor to install will be a major expense for each connection. Approximately forty meters have been installed. If the company needs to replace a valve for a connection, a meter is installed at that location. Judging from the discussion in the State Legislature each year, the board thinks the Legislature will pass a law requiring all Secondary water systems to have water meters installed for every shareholder. 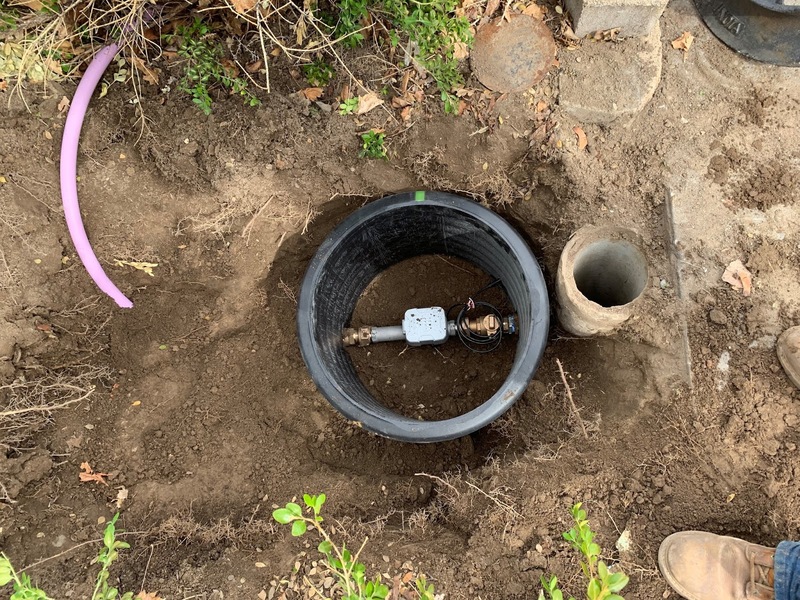 In an effort to get our system outfitted with meters we retained the services of an engineering company that has a good record of obtaining grants and have applied for some grant money from the Utah State Water Resources board. We were not accepted the first year but the second year our application was accepted. We received notification of the approval about a year ago and have signed all documents and complied in every way the State has required but have yet to receive the grant monies. 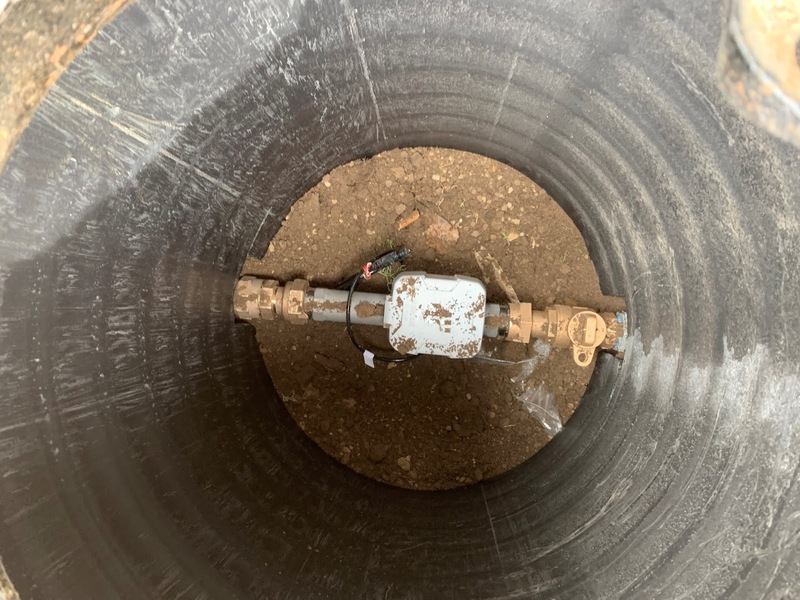 We wanted to start installing as many meters as we could last spring before the distribution system was activated but the correspondence with the State dragged on for months. We are hoping the delay is caused by bureaucratic red-tape and we will receive the grant monies soon. We received approval for a $75,000 matching grant. The State would grant $75,000 to a designated bank account and the Irrigation Company would match the amount of $75,000, then the account would be audited for the use of the monies. How to finance meter installation for the whole system is something with which the board of directors is wrestling. 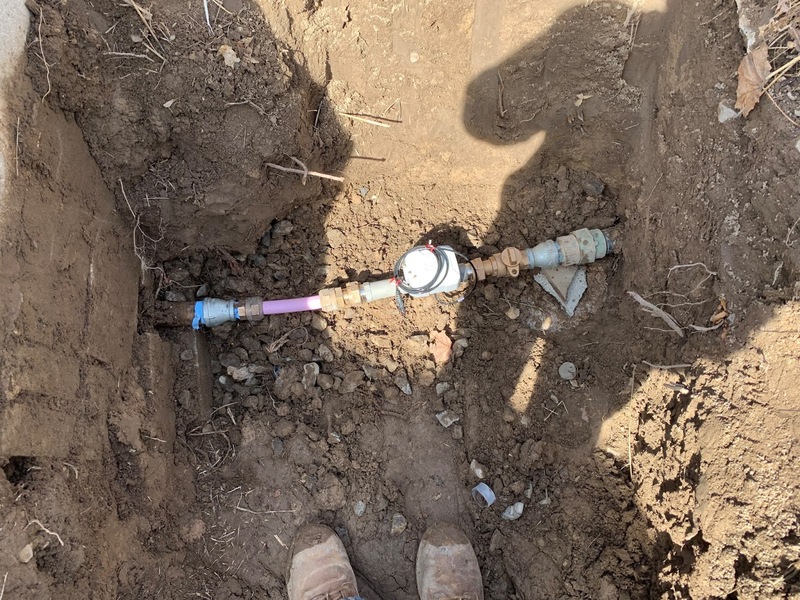 If every shareholder paid the cost for the installation of the meter at each of their own connections then there will be no need to increase the assessments. Common sense dictates there will be a number of shareholders that are not in a financial situation to pay for meter installation, another set of people won’t want the amount of water they use to be measured, another set of shareholders are getting water without a meter and have no interest in paying to have a meter installed. Each meter installation will be somewhat unique because every yard is different. Working an average price per connection in my mind, the total cost to install meters on our system will be $1.5-$2.0 million. In Regards to questions about watering schedules and the of hours of watering, we try to give shareholders the time to irrigate the best they can. When watering restrictions are implemented it is impossible for shareholders to get all the water they desire. There are a wide variety of shareholders in the company. Turf grass lawns need about one inch of water per week in the heat of the summer. A turf grass lawn will survive with twenty minutes of water twice per week using normal pop-up sprinklers. The same lawn will thrive with thirty minutes of water twice per week. The most valuable crop for farmers in our area is alfalfa. Alfalfa needs six inches of water per cutting for a good yield. Alfalfa will grow three cuttings per season if it receives the necessary water. The design of agricultural sprinklers is to deliver six inches of water in a 24 hour set. The alfalfa needs to receive the water at a certain stage of growth to produce well. For a good crop the farmers need to irrigate 24 hours per day 7 days a week and get across the entire field at least one time per cutting. When watering restrictions begin, the farmers first lose irrigating on weekends but city lots can still irrigate the two days per week their lawns need. The next tighter restriction schedule allows farmers to irrigate for 11 hours overnight four nights per week, Monday through Thursday. City users irrigate for three hours two times per week. The tightest restriction schedule has farmers irrigate for 11 hours per night for three days per week, Monday, Tuesday, and Wednesday. City users can irrigate for two hours two times per week. The tightest restriction schedule farmers to irrigate 33 hours per week which is 19.64% of the needs of their crop. (3 nights X 11 hours per night = 33/168 [24 X 7] = .1964). In the present drought situation many of the farmers in the company hope to get a good first crop cutting of hay then choose the most productive soil in their fields and irrigate what the can based on how much water they think is available to maybe get another partial cutting. Meanwhile a city lot gets pretty much 100% of the water necessary for turf grass. I recognize there is a spectrum of shareholders. Each lot is different. Some of the farms are small enough that three crops can be grown each season. We are in a cooperative of sorts. We are all better off because we have secondary water to use. We seldom have all the water to use that we desire or require. We need to make the best use of the resource that we have. If the earlier generation had not built the dam and installed the pressurized distribution system we would find ourselves unable to irrigate very much after July first. The 2018 irrigation season began with 50% of the average annual precipitation/snowpack, and 24% of the average soil moisture. The water was put in the distribution system 28 April. No “run-off” water was noted in the canyon. Reservoir levels were monitored and irrigation restrictions were imposed every few weeks until the tightest restriction schedule was implemented. The distribution system had to be shut off 31 August. The board hoped to have the water off for a couple of weeks then recharge the system for two more weeks of irrigation. With the drought conditions, the reservoir only gained a few inches of water per day and there was less than one week’s worth of water available at the end of two weeks. The State Engineers tell us that the hardest thing on the distribution system is filling the lines with water. The board determined to store the water for the coming year. The shareholders cooperated to be able to have the water last as long as it did. The summer was very hot and dry, only two measurable rainstorms during the summer months. We took note of suggestions to start evening watering at 6:00 p.m. This is a good suggestion and would work when on the tightest restriction schedule. We considered using a 6-8 p.m. schedule this past summer but opted to use the 5-7 time period. Reasoning many users would be used to starting at 5:00 and the timers would be set to begin at 5:00. Perhaps we made the wrong decision because the length of watering times would need to be adjusted on the timers anyway. All shareholders are invited and are welcome to attend the Annual Meeting. I am sure you will know many of the shareholders that attend the meeting as they are your neighbors. I suppose it might be intimidating the first meeting you attend but I think you will become comfortable being there rather quickly. Most shareholders have the same concerns. Everyone wants to get the most they can for their money. The irrigation company has no revenue source other than from shareholders in the company. In wet water years excess water can be sold to Tooele City from the Right Hand Fork Springs for culinary use. We have been in a drought cycle for about the last twenty years with no excess water to sell. I hope this adequately answers some questions. I apologize for the length of my response, but encourage you to consider all the information, as many of the choices we make are complex which will affect us for years if not generations. We are committed to managing this vital resource in an equitable and transparent manner. DUE TO LOW WATER LEVELS THE WATER SYSTEM WILL BE OFF FOR THE REST OF THE SEASON. PLEASE MAKE SURE YOUR SYSTEM IS PROPERLY WINTERIZED TO PREVENT FREEZING. THANK YOU FOR YOUR COOPERATION DURING THIS VERY DRY SEASON. Annual Asssessments will be sent out the beginning of November. If you have an email address, please contact our office to add that so we can have your account on paperless billing. This helps cut down on costs. Also, it is a good time to make sure that your mailing address is current so that your bill (if it is mailed) can go to the correct address. Irrigation water has been shut off for no less than 2 weeks due to low water levels at the reservoir. We are sorry for the inconvenience.